Great first session! Thanks to everyone who braved the winter storm. I was impressed with where people are at...You looked good and its only December. 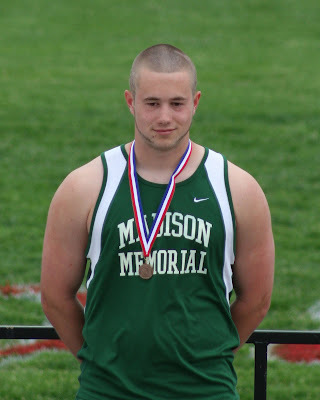 Hit the weight room until I see you next year. OK until I see you January 8th. Lets all hope for nice weather so the roads are safe here and back. Feel free to contact me if you are looking for off-season coaching. 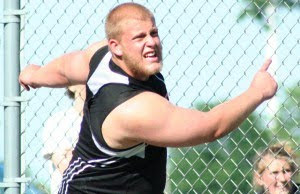 Keep checking the website for WINTER MADISON THROWS CLUB practices. Dates will be available as soon as I have them. Have a great Fall. Good luck to those of you participating in other sports! I can't emphasize enough how much I think athletes benefit from competing in multiple sports. Work Hard and Have FUN! WANT SOME THROWS CLUB GEAR? First came T-SHIRTS than came WARM-UP Jackets followed by HATS. I have some great gear from previous years that I would love to unload. I just visited the olympic stadium this morning! Panthinaiko Stadium in Athens, Greece is the stadium the first "modern games" were held at in 1896. 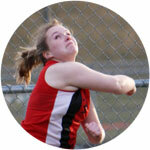 Shot Put and Discus were 2 of only 5 Track and Field events held, along with the marathon, 100, and 400m. I am totally inspired to get back to Throws Club! Wish you were all here. 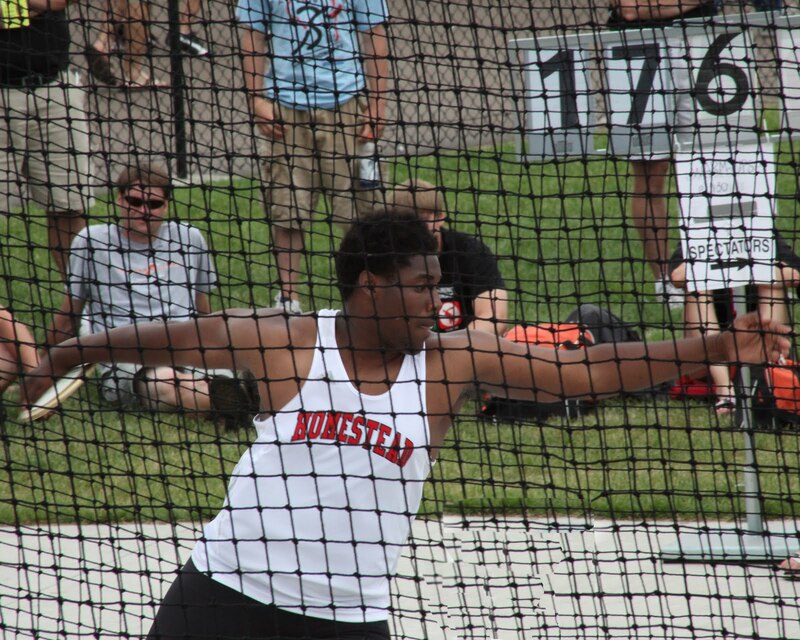 Throwers from Madison Throws Club ROCKED the sectional meets in Shot Put and Discus to qualify for the WIAA State Track and Field Championships! Congrats on your accomplishments all season long! Good luck next weekend in LaCrosse. 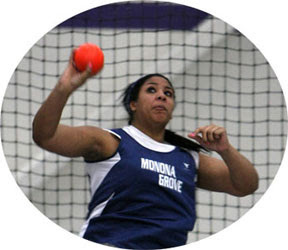 EMILY FRANZ Madison Memorial 36' 2.25"
MOLLY GRIEP Whitewater 107' 6"
set a new Wisconsin State Girls Shot Put record throw of 47'8". Congrats on your huge throw, Madison Throws Club is proud of you! 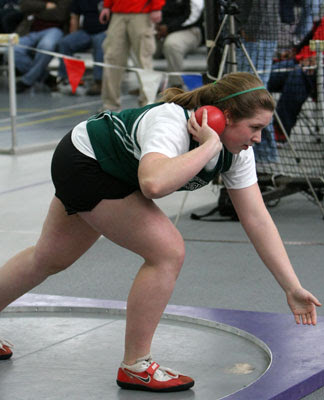 Angela has worked hard on not only the technical pieces of both her discus and shot put technique but also the mental approach to competing. 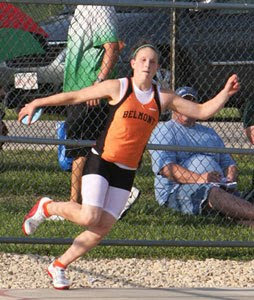 Her physical gifts have never been questioned, standing at 6' 0" and strong without working at it, she is an excellent 3-sport athlete. However, she has found that the challenges of throwing consistently and throwing far have a lot to do with how well you mentally approach practice and competition. We really worked hard on the ability to get focused into throwing far, with a pre-meet routine, and in meet strategies on responding to both good throws and bad throws. I have been so impressed with her improvement in taking control of all the variables that are hers to control during her senior season. 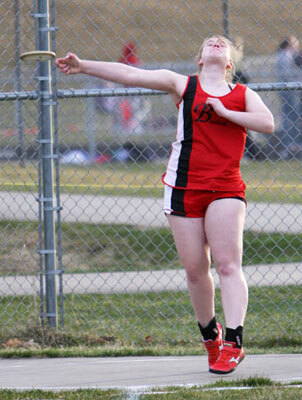 I think there is more to come for Angela in both the Shot Put and Discus this season and beyond. Next year she will be a UW Badger and I can see big things on her horizon, I think her best event might be the Hammer Throw...we'll see! Continued good luck and success Angela! 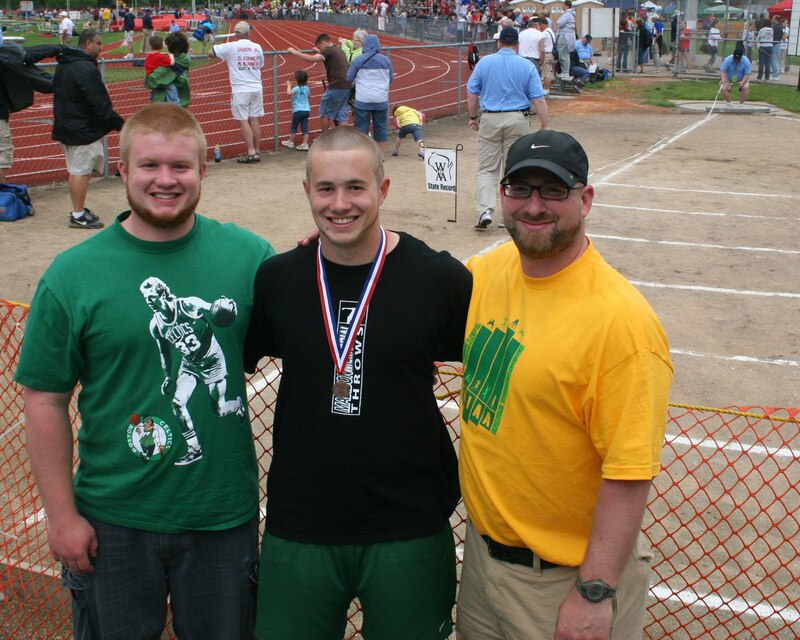 PART 1 - shoes that are built for GLIDE SHOT PUT THROWERS who also throw DISCUS. Some of them have decent crossover to rotational movements but are certainly more geared toward the linear movements of the GLIDE. Since all throwers glide or rotational need a shoe to pivot well on pavement you could get away with DISCUS throwing in these shoes. Stay tuned for PART 2 - I will do my best with shoes constructed specifically for spinners. Congrats to FUTURE BADGER, Angela Boushea who will be wearing red and white for Wisconsin throws Coach Dave Astrauskas next year. 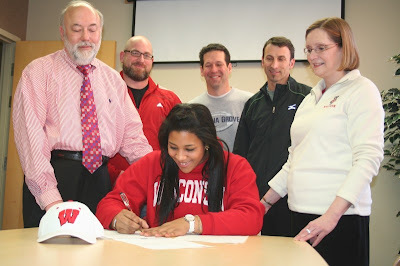 Angela made it official by signing her National Letter of Intent Wednesday. 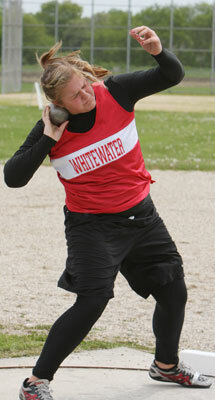 She will be joining a talented group of throwers next season, as this year's Badger throwers are off to a great start. But first, Good Luck this season at Monona Grove High School ... Then best wishes on a great career at UW! Also congrats to Jacob Ninneman who signed with the Badgers to play Football next year as a preferred walk-on.